ESP8266-12 prototypingboard with 4 opto-isolated inputs and 7 MOSFET outputs. Allows in-board program download using TX, RX and DTR. 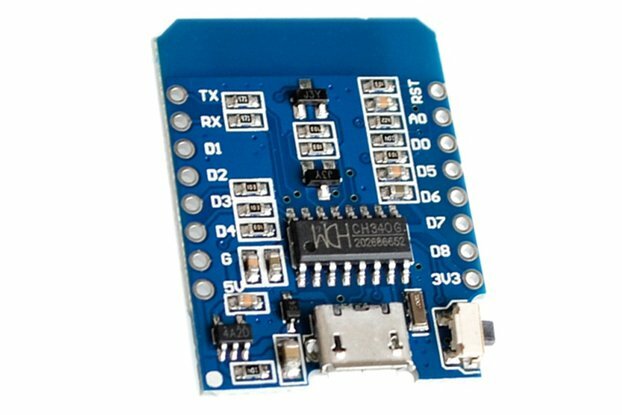 A fully autonomous ESP8266-12 prototyping and testing board including automated program download using auto-reset; Arduino IDE compatible. Unique in having auto-reset capability for program download from Arduino IDE: to download programs from the Arduino IDE, connect TX, RX, GND and DTR (from FTDI USB-to-serial interface board), then press "compile and upload" and you can immediately start testing. No need to perform any jumper wiring manipulation. 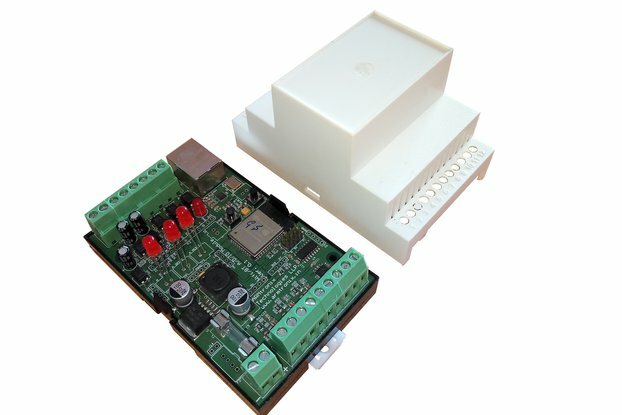 It includes separate interface connectors for I2C, FTDI, BMP280 barometric sensor, HTU21 moisture sensor, HC-12 433MHz serial radio and DS3231 RTC. The board has 4 optically isolated inputs and 7 MOSFET open drain outputs. The board comes without the sensors, DS3231 and ESP8266-12. 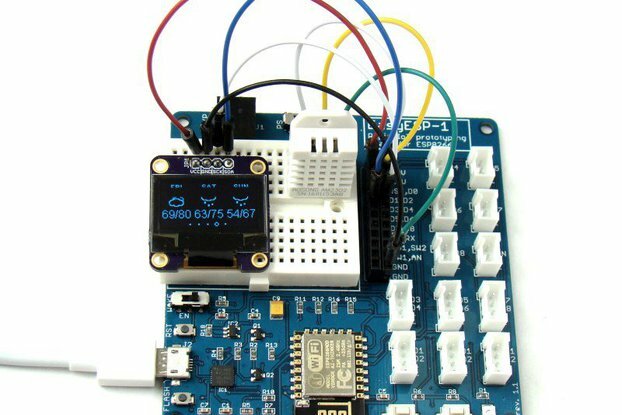 If needed they can be provided too: in that case the ESP8266 will be preprogrammed with a weather station software including Thingspeak upload to customer specifications at an extra cost of USD20,00 Input supply voltage: 5 to 12V DC.